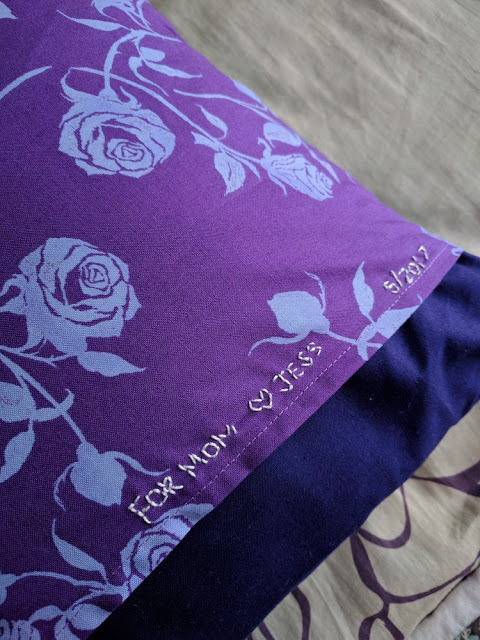 Beautiful finish and what a great gift, Jess! 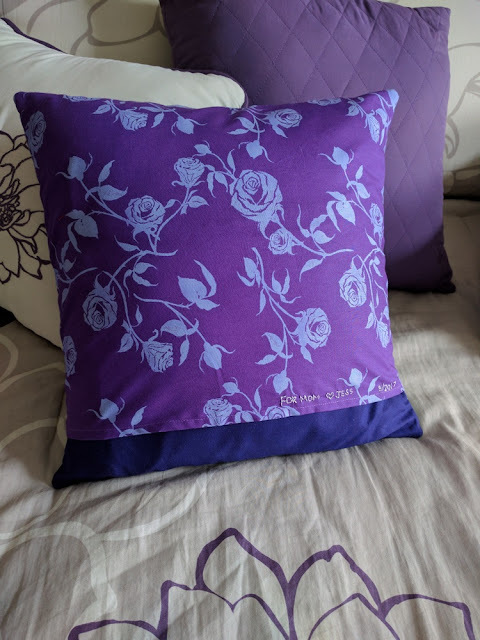 I can see that the love of purple runs deep in your family, too. <3 I hope your moving and unpacking goes smoothly and you are settled in soon. You really did a great job on that pillow. I guess we can now see some sashiko in your modern quilts? 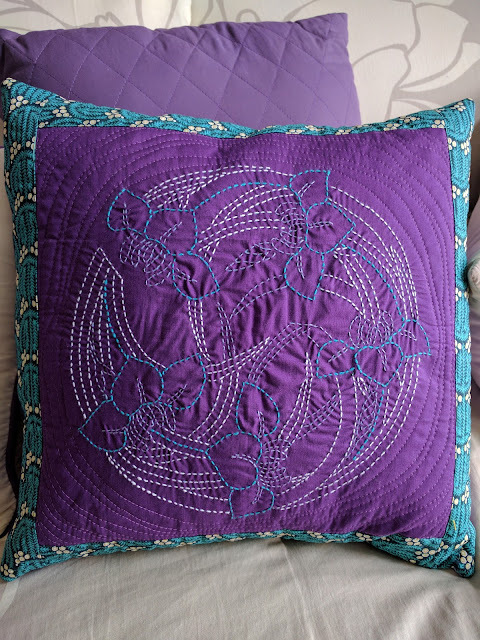 I love this pillow. After many years of resisting the shashiko bug bit me too. I'll have to check out that shop. What an AWESOME gift for your Mom!!! 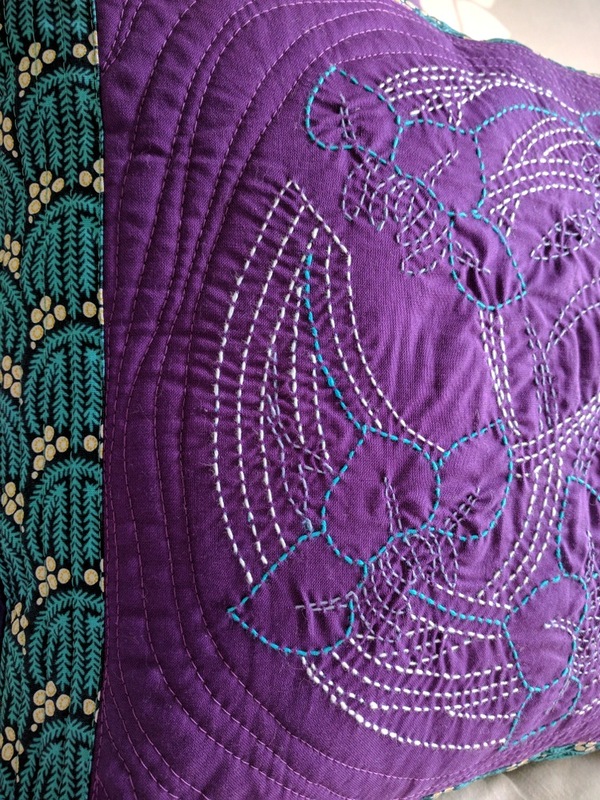 The purple is so rich, a wonderful background for the stitching. And the back is soooo lovely. Glad you are keeping it in the family. 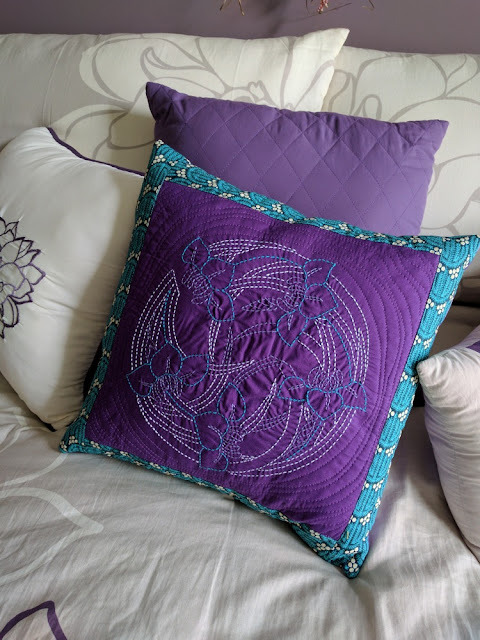 The pillow is beautiful, and really fits in with everything your mom has on her bed :) What a great gift! 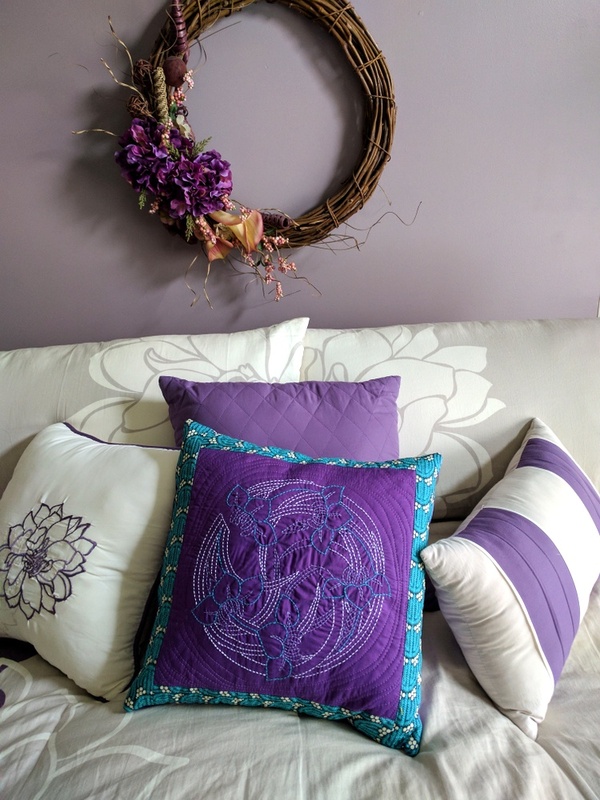 it seems your mother shares your love of purple! Your pillow adds a nice dramatic touch to the arrangement. What a beautiful gift! I'm sure your mother will treasure it.